When borrowers are unable to make their monthly debt payments and are financially struggling, creditors may try to repossess their assets and/or foreclose on their homes in an effort to try to force borrowers to pay up. Bankruptcy can protect some of your assets while resolving your debt. Contact Denver Bankruptcy Attorney Arthur Lindquist-Kleissler for more info. While the threat of repossession and foreclosure (not to mention wage garnishment) can be as stressful and scary as it may be embarrassing and upsetting, the good news is that borrowers have recourse for protecting their assets, resolving their debt and obtaining a financial fresh start. Halt all legal actions that creditors may have taken (or be trying to take) against borrowers (This includes stopping foreclosure proceedings, preventing wage garnishments and halting action to repossess a person’s assets). Effectively, an automatic stay is enacted when bankruptcy is filed because the court wants to prevent any single creditor from seizing all of a borrower’s assets, as this could leave other creditors empty handed. Instead, the borrower’s assets will become part of the bankruptcy estate, and the trustee overseeing the case will determine how these assets will be handled. While the automatic stay associated with filing for bankruptcy will immediately protect a borrower’s assets, it may possible to invoke a longer-term protection of your assets – namely in that you may be able to keep your assets – by using exemptions provided by Colorado Bankruptcy Law. These exemptions allow for borrowers to keep some of their assets (up to a maximum dollar amount) by permitting them to be left out of the bankruptcy estate. If you are buried in debt or are facing serious financial crisis, Denver Bankruptcy Lawyer Arthur Lindquist-Kleissler can help you resolve your financial issues while retaining as many of your assets as possible. Mr. Lindquist-Kleissler and the other legal professionals at Lindquist-Kleissler & Company, LLC have been providing both individuals and businesses with the highest quality of legal services since 1979. 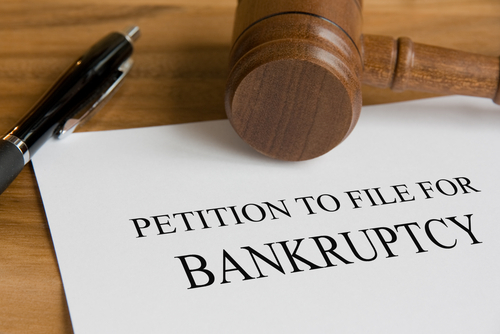 From simple to complex bankruptcy cases, Mr. Lindquist-Kleissler can always be trusted to maximize utilization of Colorado Bankruptcy Law to effectively guide his clients through bankruptcy and help them achieve the best possible resolutions to their cases. To learn more about your debt relief options and how bankruptcy may help you protect your assets, set up a free 30-minute consult by calling (303) 691-9774 or by emailing our firm using the form on this page. You will pay nothing up front to obtain trusted, professional advice regarding your case and your options.